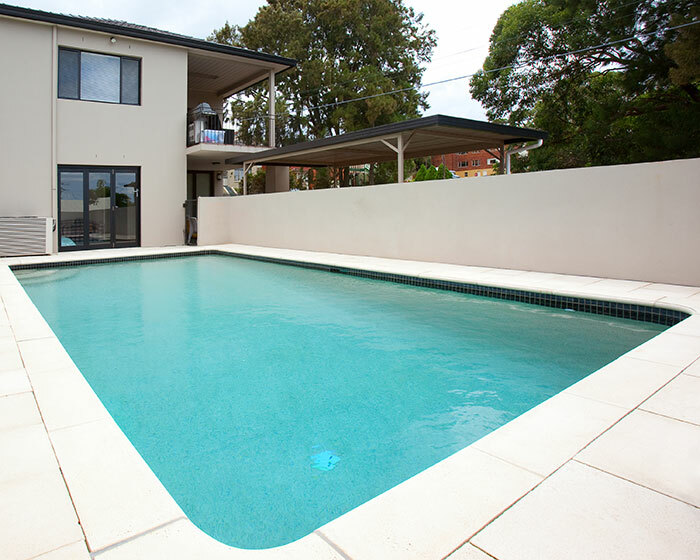 Sunset Pool Renovations are recipients of the Australian pool and spa industries most prestigious national award for the ‘highest standards of craftsmanship’, winning the Australian SPASA Gold’ Medal for a pool renovation (under $20k). This award is a convincing illustration of the fact that as an owner of an aging swimming pool you don’t necessarily have to invest a fortune to achieve the best results. Sunset’s awarded record is testament to an unrivalled commitment to conceive and create affordable swimming pool and spa refurbishments, designed, constructed and finished to the highest standard. 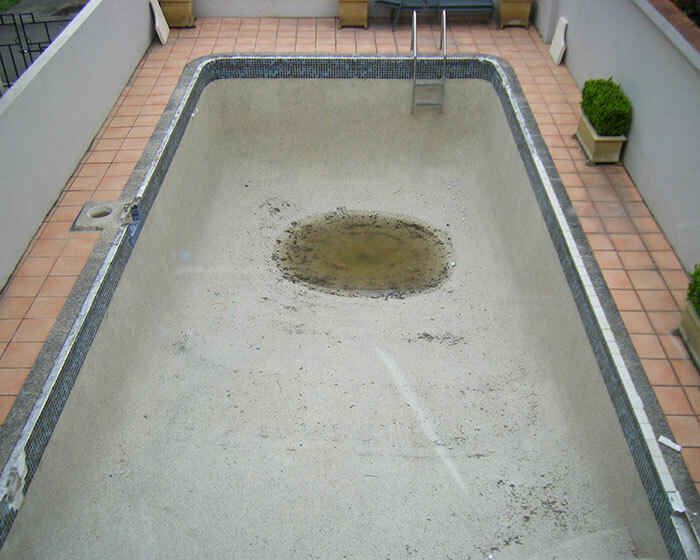 Call Sunset Pool Renovations today to breath new life into your aging concrete pool on 1300 000 412 or complete the enquiry form right now to arrange the attention it needs. You don’t win awards for creative cover-ups, proper preparation, repairing faults often deep inside the concrete shell and restoring surfaces are the three prerequisites for an award winning Sunset finish. Just as critical but far less evident is Sunset’s meticulous attention to the renovation’s engineering and the choice of rebuilding materials. 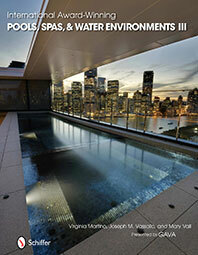 Sunset has an uncompromised approach to the replacement equipment installed on revitalised swimming pools and spas. 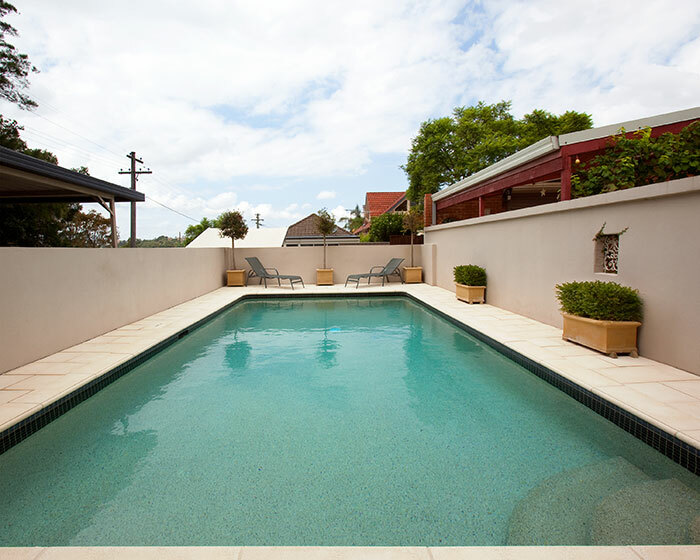 To ensure your refurbished pool’s long term viability it is important that you have confidence in your pool renovator’s informed selection of the most efficient water filtration, pool heating, lighting and sanitation systems. 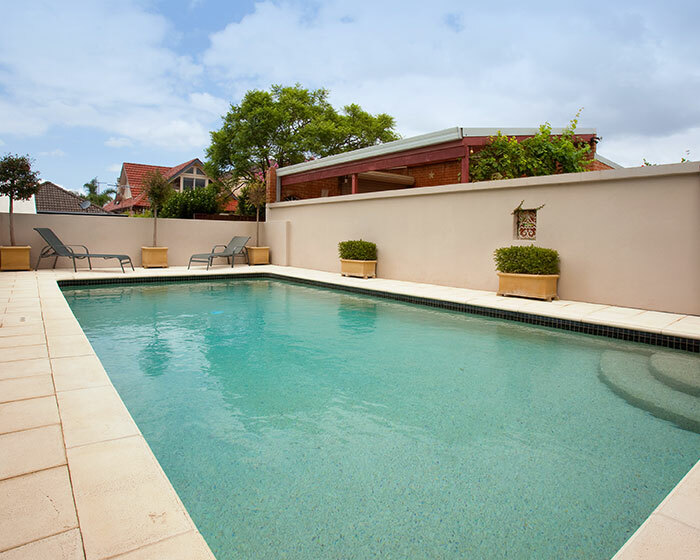 Through meticulous preparation, continuous consultation and an award winning finish, Sunset Pool Renovations has continued to fulfil the wishes of their most discerning customers throughout the last ten years. 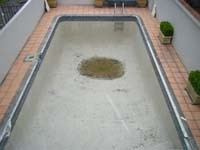 Additionally, Sunset’s diligent team will ensure your premises are spotless prior to completion and commissioning your refurbished swimming pool. Good looks alone are not enough, as simply reviving your pool’s youthful appearance with colour keyed pool coping, tiled surrounds and water features are only part of a quality Sunset renovation. The specification and inclusion of specialised epoxy barriers beneath, and waterproof grouting between interior tiles make certain that your new look pool retains its appearance for many many years to come. If you have recently moved, only to inherit a previous owner’s neglected pool, or had your swimming pool installed twenty or more years ago, you are almost definitely considering the pros and cons of updating. Just as a new kitchen or bathroom will optimise the appeal of your home’s interior and increase your property’s value, a Sunset Pool renovation will achieve the same striking results for you outside. Your established concrete pool will be transformed by renewing the appearance of interiors and surrounds, remodelling unimaginative shapes to better suit your renovations or landscaping or by the incorporation of a luxurious spa. Sunset Pool Renovations will make your aging swimming pool sparkle again, and reclaim its place as one of your family’s most treasured assets. You are welcome to read Sunset’s customer testimonials and ask to view the extensive collection of explanatory before and after photos. In addition to domestic swimming pools and spas, Sunset Pools provides specialised consulting and design services to commercial and government clients, where they are renowned for their accurate estimating, sound administration, safe work practices and having all the required licences and insurance. At the end of the day, you can rely on Sunset for the pool that literally reflects your individual needs in award winning style. 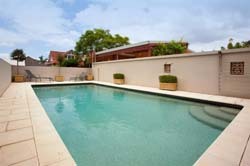 Sunset Pool Renovations are the recipients of the Australian Swimming Pool & Spa Association’s (SPASA) National Gold Medal for pool renovation. SPASA is a non-profit organisation dedicated to maintaining and improving standards within the industry for the betterment of consumers, pool builders and suppliers – www.spasa.org.au . 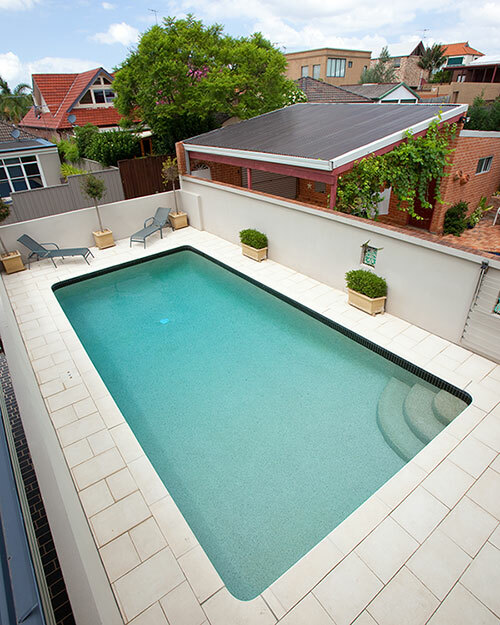 Discover what can be achieved, and how your aging swimming pool can be transformed, call Sunset Pool Renovations on 1300 000 412 today or complete the on line enquiry form.